At times it seems that we can all get stuck when trying to post on our company Facebook pages, especially since summer is here and our brains go on vacation. 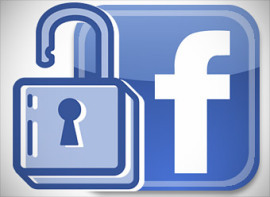 facebook_shares_unlock Despite the slower time of year, we still need to maintain the momentum with posting. Followers still check in, maybe not as frequently, however, keeping your content interesting and engaging is key. Get Customer Involvement– Ask your customers to submit photos of their favorite product or service. Run a Poll or Contest– This could be something fun about the summer or about skincare/body concerns or entertainment. Curate Content– Use your RSS feed or any news feed, Pinterest, or Instagram and find content that you feel that your followers would be interested in. Team Effort– Get your staff or a couple key members of your team (who you trust) to post for your business a couple of times per week. Set a Calendar– Decide what types of news, promotions and deals that you want to promote each month and make it part of your daily routine. Use a social media management tool such as HootSuite to schedule in all your news. Like/Share/Comment– Ask your followers to like and share a particular incentive or promotion for a chance to win a new product or service. Use Pictures and Video– People love to look at and share pictures. Use photos of your business and staff at work. Be sure that they are high quality pictures (600 x 600 pixels is the ideal size for Facebook). Also note that photos and video get 100-180% more engagement than other types of posts. Make it Short and Sweet– Posts that are between 100-250 characters receive 60% more likes, comments and shares than longer posts. Don’t be Afraid to Ask– It is okay to ask a follower to share, like or comment on your content. It is another way to be personal! Respond– Do not just post to your social media platforms and not actively monitor and respond to your fans. People want to be heard, and with a timely response they will feel heard and recognized. It is important to remember that people log into Facebook to connect with their friends and pages of interest. Be sure that what you post is relevant to your followers and your content will be useful. Building a following takes time and effort — results do not happen over night. To save time, use programs such as Hootsuite, Buffer or Tweekdeck to schedule your posts. Another option is to use a social marketing company such as Acara Partners to manage all your social media. No matter which method you choose to manage your social media — consistency, content and relevance are keys to success.